Natural Language Processing Technologies (NLPTs) are making the headlines of newspapers and the timelines and feeds of Twitter and Facebook as their potential to manipulate and “understand” language is massive. Alexa, Siri, Bixby… are names that are part of our everyday conversations. However, the use of NLPTs as Open Educational Resources (OERs) in the context of language education is in its infancy. In this talk I´ll discuss the results of research that examined the use of NLPTs and mobile assisted language learning (MALL) in the context of language learning in Europe. This talk will discuss language teachers´ (n=690) use and familiarity with a wide range of NLPTs. Other than online dictionaries, collocation dictionaries and spell checkers, most NLPT-related resources appear to be generally underused by the teachers surveyed. NLPTs could become powerful tools for language learning as they promote individual and personalized learning. However, their use is largely ignored in instructed language education. I will discuss some of the implications of these findings and offer suggestions for future research. Dr. Pascual Pérez-Paredes is a Lecturer in Research in Second Language Education at the Faculty of Education, University of Cambridge. His main research interests are learner language variation, the use of corpora in language education and corpus-assisted discourse analysis. He has published research in journals such as CALL, English for Specific Purposes, Language, Learning & Technology, System, ReCALL, Discourse & Society and the International Journal of Corpus Linguistics. He is the overall coordinator of the Research Methods Strand in the MEd in Education, U. Cambridge. Story telling is indeed an age old tradition, the benefits of which are well known since time immemorial. Yet there is a need for advances in digital and print technologies to find reverberations in the art of storytelling in order to save the teacher from the sheer drain of time and grind and to also ensure efficiency. This exploratory research aims to study effects of using technology in enhancing storytelling and reading in 50 students of grades V and VI of a government school in Delhi, India for a period of 6 months. The students were immersed in digital and print media which included the use of innovative software like graphic organizer Wordle, and applications like StoryMaker. Reading corner and word wall made use of print technologies including Environmental Print that worked as effective interventions to encourage the students towards reading. The study made use of purposive sampling and tools of observation, informal interaction with the students and maintaining student portfolios. The findings showed a remarkable improvement in the students’ perceptions and interests regarding stories. Students who initially felt inhibited and apprehensive by the name of ‘stories’ engaged in what Neuman (1999) calls a ‘Chain Reaction’ wherein they wanted to tell, retell and recommend stories to one another and became efficient readers. The study is delimited to storytelling and a rather minuscule yet consequential sample, yet it aims to kindle further research that opens avenues to incorporate technology in all domains of language. 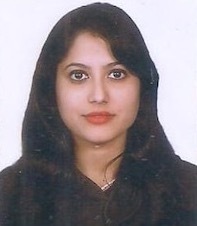 Dr. Vanita Chopra is working as a training consultant with British Council, a teacher educator and teacher trainer. She has more than 12 years of experience in pre-service teacher education and is also a mentor to six teachers doing classroom-based research. Her research interests include language education, ELT and assessment of language skills. Development of English skills is a core area of focus for many Indian state governments interested in developing the capacity of their teacher workforce. The Teacher Professional Development Initiative (TOPDI) was a British Council pan-India pilot to offer a fully online English language course, combining self-access material with weekly live classes, to 571 state school teachers. An online course that can achieve positive learning outcomes in a low-resource context has the potential to impact the accessibility and scalability of language learning courses in India and the Global South. The aim of the pilot was to gauge whether the design and the support mechanisms of the six-week course could maximise participation and retention and therefore successfully develop participant's English communication skills. Data around course access, attrition rates and completion were gathered, alongside qualitative participant evaluations (questionnaires, focus groups, forum posts) of the course experience. Access and completion rates remained both fairly high and remarkably consistent for an online course. Participant’s self-rating of language ability rose significantly from pre-course to post course. Ratings and qualitative feedback around elements of the course delivery model highlighted the successes of its design for maintaining and motivating access and completion. The evidence indicates that that this model for an online bring-your-own-device English language course can achieve significant results for language and skills development at scale and is therefore a potential delivery model for the Indian context and beyond. Beth Caldwell is Head of Blended Learning at the British Council in India. She leads on the management, design and development of blended learning programmes, in particular ‘myEnglish’, British Council’s online English courses, which have welcomed over 4000 adult learners since launch in 2015. 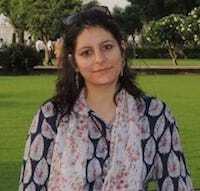 She has worked in English language teaching, teacher training and management in countries around the world since 1998 and has lived in India since 2011. Her professional interests include online and blended learning, materials design, quality standards and continuous professional development. She holds a Cambridge DELTA, has been a CELTA course tutor and is a certified e-moderator. The aim of the presentation is to discuss the advantages and challenges associated with the development and implementation of a specific blended course in Translation at the Bachelor’s level from the perspective of the instructor who created and organized the course and the students who took it. In order to integrate the course requirements set by the university (the number of traditional face-to-face classes, method of assessment and credit) and the individual needs of the students, a blended course was created that integrated practical classes in the classroom and online collaboration. The aims of the instructor were the following: to use a problem-based approach to develop students’ translation and editing skills as well as to enhance their team work skills by integrating online and face-to-face interaction. Sixty second-year students participated in the course. We used interactive whiteboard with Smart Technology and Edmodo for lectures/posting specific tasks/presentations and the wiki website EditMe and Google Docs for sharing feedback and documents. The course lasted 24 weeks and after the final assessment the students evaluated the course and the whole process. The results indicate overall satisfaction with the content of the course, educational technologies and methodology even though the students had some problems with peer feedback, cooperation in teams and technology itself. When supervised and coordinated efficiently, blended learning and collaborative problem-solving using technology seem to be very adaptable and useful in adopting a student-centered approach in teaching and achieving specific learning objectives. 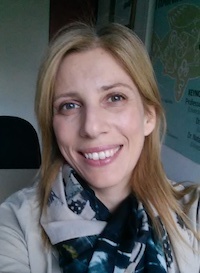 Dr. Diana Prodanovic Stankic is an assistant professor at the University of Novi Sad, Faculty of Philosophy, Department of English Studies where she teaches several under- and postgraduate courses. Her research interests are related to cognitive and cultural linguistics, applied linguistics and Translation Studies. She has published three monographs and many papers in scientific journals. Since she has been teaching for almost twenty years now, she is always keen on developing and reconceptualizing her teaching methodology in order to help her students expand their learning experience. Elen Le Foll is a research assistant and PhD candidate at Osnabrück University. With over ten years’ experience as a French and English teacher in adult education, she now teaches English didactics on the university's teacher training programme. 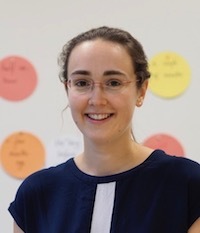 She also works as a conference interpreter (English, French and German) and teaches conference interpreting German-English at the University of Applied Sciences in Cologne. Her research interests include EFL textbook language, phraseology and language learners' use of online resources. Looking at two case studies which report recent research studies, this talk explores how it is possible to make use of digital technologies to support teachers who work in contexts where access to teacher development is limited by a variety of circumstances. The first case study is in Pakistan where Skype was used in combination with mobile phones to reach out to teachers working in remote rural contexts and where security for visiting trainers could not be guaranteed. Working with the British Council in Lahore we developed a set of materials and a process for supporting teacher development that could be used anywhere in the world. The second case study shows how a combination of WhatsApp and mobile app materials could be effective for teachers working in the challenging contexts of a refugee camp where there is very limited access to the internet. Here we worked with a group of Syrian teachers to understand their needs and co-produce a number of materials. We used WhatsApp as a mobile learning platform and Ustad Mobile as a tool for providing learning materials offline. Learning from these studies has been taken into a new project that is using similar technologies to support teacher development in sub-Saharan Africa. Dr. Gary Motteram is a Senior Lecturer in Education at the University of Manchester where he teaches on MA programmes focusing on technology supported learning. 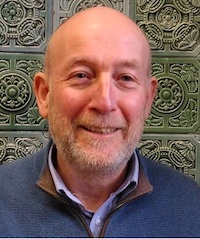 He has published regularly in the field of technology in language learning and language teacher education (see his publication profile at Manchester). His most recent completed research project focused on refugee teacher development using mobiles in Jordan (funded by the ESRC) and he is about to start a British Council ELTRA project looking at mobile teacher development in sub-Saharan Africa. Language classes held online in a ‘digital’ classroom provide opportunities for bringing together teachers and students from different locations and cultures, and online classes allow for language practice outside the traditional face-to-face classroom setting. However, significant pedagogical challenges arise when using videoconferencing for language teaching, particularly in terms of enabling spontaneous communication between learners. It can be difficult to ensure that all students are engaged and have opportunities for speaking practice, and for teachers to assess the progress of individual learners. This research investigates some of these challenges in the context of classes provided to adult language learners. Wall Street English students follow a blended programme, combining self-paced online study with teacher-led classes. Some students can choose to attend these teacher-led classes either face-to-face or online, and as both modes use almost identical class content, this allows for the direct comparison of digital and face-to-face classrooms. Using questionnaire and interview data, this research compares student and teacher experience in both modes. In addition, as students are assessed during the classes, the numeric data provided by teacher assessment of students’ language, communication and interaction skills will be analysed and compared. In particular, the hypothesis that students have fewer opportunities to demonstrate their language skills, and the impact this has on assessment, will be investigated. The results will be relevant for online teachers, teacher trainers and course designers, and will highlight the importance of awareness of the affordances for learner interactivity offered by the digital classroom. The conclusion is that teachers will need to develop specific skills in order for learners to engage with and fully participate in online classes, and class materials should be developed with a range of opportunities for online interaction in mind. Dr. Bindi Clements is Instructional Design and Efficacy Manager at Wall Street English, and is fascinated by the ways in which technology can transform language learning. She has extensive experience in learning design for language training, and is currently responsible for both the instructional design and for research regarding efficacy of Wall Street English products. She has a PhD from Imperial College London and is studying for an MA in Online and Distance Education (specialising in Applied Linguistics) with the Open University, UK. Her research interests include mobile learning solutions for language acquisition, and comparing online versus face-to-face language learning experiences. The rapid development and spread of new technologies has opened up a wealth of new opportunities for second language learners to engage with their target language: practices such as watching online videos, streaming films and music, and engaging with others through social media contribute to what has been referred to as Online Informal Language Learning (OILL). Previous research has found positive correlations between such practices and second language proficiency. It must be noted, however, that these studies mostly focused on learners’ grammar and lexical knowledge, but not on communicative language skills. Thus, the question remains as to how such practices affect learners’ oral language production. After a brief introduction to OILL research, this presentation will report on a pilot study that was conducted as part of a longitudinal PhD project. The study focused on the use of discourse markers in the spoken production of seven adolescent informal learners of English in Greece. Even though all participants demonstrated high levels of general oral proficiency, they markedly differed in terms of the frequency, range and functions of the discourse markers they used. Further analysis of the pilot data suggested that these differences might be explained by the types of online activities that comprised each learner’s informal language contact: While all participants regularly engaged their receptive language skills online, those who showed frequent and diverse use of discourse markers stood out because they also participated in regular technology mediated oral communication (e.g. through WhatsApp, Skype, Snapchat). Knowing how technology contributes to the development of oral communication has the potential to influence not only the practices of language learners and teaching professionals, but also the design of new, multimedia instructional materials for second language learning. 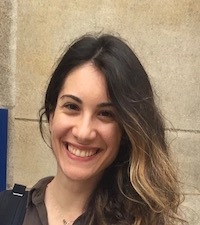 Christina Lyrigkou is a second-year PhD student in Languages and Applied Linguistics at the Open University (UK), in the department of Wellbeing, Education and Language Studies, and she has also completed a MSc in Applied Linguistics and Second Language Acquisition at the University of Oxford. Her research focuses on L2 pragmatics and informal language contact through mobile assisted language use. Recently, she was one of the organisers of the first conference on "(In)Formal Second Language Learning (ISLL): Integrating Informal Practices into Formal Contexts" which was part of the 2017-2018 British Association of Applied Linguistics and Cambridge University Press seminar series. Social media like Facebook, Twitter and WeChat establish platforms for users to interact and communicate with each other, no matter where they are or what they do. For learning, Mondahl and Razmerita (2014) mentioned that “social media has created possibilities for digitally native students to engage, interact and collaborate in learning tasks that foster learning processes and the overall learning experience” (Mondahl & Razmerita, 2014, p. 339). With regard to language learning, which is not only an individual process but also a cognitive and collaborative procedure (Mondahl & Razmerita, 2014), social media may be beneficial for students to learn in an active way and interact with the target language (Borau, Ullrich, Feng & Shen, 2009). Language learning is not confined to the classroom setting by using traditional textbooks and blackboards. Learners can develop their language abilities in social networking routines rather the formal classroom contexts. 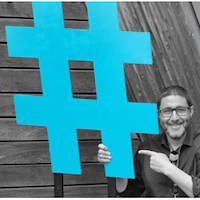 Exploring the affordances of social media in language learning beyond the classroom, therefore, as well as considering the challenges and limitations of this approach, is of great necessity. In this paper, a brief introduction to social media will be presented, particularly in the language learning field. Both the advantages and drawbacks of social media in language learning will then be respectively illustrated. Some considerations and recommendations in course design and pedagogy will also be raised. What is more, this paper will take WeChat (a popular communication application) as an example, focusing on how WeChat can be used in English language teaching and learning. Danyang Zha ng is a PhD student at the University of Cambridge. She has successfully completed two masters at UCL Institute of Education majoring Applied Linguistics and Education & Technology. Danyang has presented her work in many prestigious international conferences such as BERA Annual Conference, EUROCALL, Asia TEFL, etc. Her research interests include second language vocabulary acquisition, MALL, CALL and multimodality in SLA. This study discusses pedagogical insights and strategies in regard to the use of virtual reality (VR) for the development of L2 cultural awareness in the language classroom. Researchers have recognized the potential of VR in various fields (e.g., Liu et al., 2017; McGrath, 2017), nonetheless in the area of foreign language learning and pedagogy only a few studies have explored the affordances and constraints of VR from a linguistic and cultural perspective (e.g., Lin & Lan, 2015; Repetto, Colombo, & Riva, 2015). The current project addresses this gap by investigating undergraduate students’ attitudes and perceptions toward the implementation of VR and Google Cardboard, an affordable viewing device, in the language classroom for cultural learning. Participants, who were enrolled in Italian courses at a large American university, first completed a pre-survey investigating their beliefs regarding the use of technology and VR in the educational setting. Following, they virtually experienced Italian sites (i.e., a plaza, a coffee shop, a bakery) in the target language with the use of Google Cardboard, their smartphones, and the guidance of their instructors. Students reflected on and discussed similarities and differences between the target culture and their own culture. A post-survey was administered to examine attitudes and perspectives regarding the implementation of VR in the language classroom to foster cultural awareness. Results show that VR was positively perceived by the participants who noticed unusual aspects of the target culture during the viewings. VR and Google Cardboard offered language learners the opportunity to be virtually immersed in non-physical nonetheless culturally authentic environments which might be otherwise inaccessible. VR is a cutting-edge technology that can be utilized, in alternative to the traditional textbook, in the language classroom to develop cultural awareness and to create new, immersive, and contextualized learning opportunities for language learners. 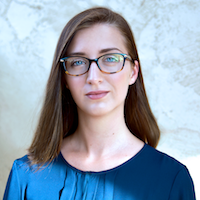 Margherita Berti is a doctoral student in the Second Language Acquisition and Teaching (SLAT) program at the University of Arizona where she also teaches undergraduate Italian courses. 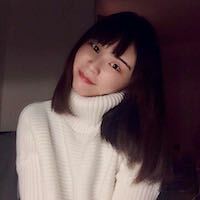 Her main research interests are in CALL, especially virtual reality, social networking sites, mobile technologies, open education, and materials development for language learning and pedagogy. Her latest project addresses the use of virtual reality environments and Google Cardboard for the development of cultural awareness in the foreign language classroom. The recording for Introducing AQUEDUTO can be found in the beginning of the final presentation recording below. AQUEDUTO (the Association for Quality Education and Training Online - http://aqueduto.com) was born out of a pressing need for a quality assurance programme for online teacher development and education. Initially conceived by Gavin Dudeney, Director of Technology at The Consultants-E (https://www.theconsultants-e.com) and Thom Kiddle, Director at NILE (Norwich Institute for Language Education - https://www.nile-elt.com/), AQUEDUTO has a variety of aims: helping online training course providers evaluate, and validate, their own courses; helping teachers find the right, quality training course for their own developmental needs; contributing to developing research into effective online training; and sharing best practice among partner institutions. Members currently include: Laureate International Universities, International House London, NILE, The Consultants-E, Macmillan Education, International House World Organisation and the British Council, and AQUEDUTO also has reciprocal partnerships with organisations such as Eaquals, Trinity College London and others. The organisation is currently seeking like-minded members and partners worldwide who share the desire to push the boundaries of online training and development. The estimated number of English language learners worldwide is about 1.5 billion (Noack & Gamlo, 2015). With the substantial increase in English learners in recent years has come the ever increasing pressure for qualified English language teachers who need access to high quality courses and programs to develop their knowledge and skills. To meet this demand, there is considerable pressure on programs and institutions to provide courses for teachers who have varied educational and work experiences, different backgrounds and degrees of knowledge, different experiences teaching, and also reside in different contexts from large urban centers to remote rural areas. The fact that we live in a globalized world and that our globalized world is connected through digital technologies are pivotal factors in determining how we meet the pressure for excellence in English language teaching and the demand for high quality English teaching and teachers. As a result, in recent years, we have seen an increase in the number of online language teacher education (OLTE) courses and programs. This proliferation of online courses and programs (Murray, 2013; Murray & Christison, 2017; Shin & Kang, 2017) has also led to concerns about quality in OLTE. To determine measures of quality in OLTE, we need to understand what the research says. In this paper, we will review extant research on OLTE, why teachers choose OLTE courses and programs, what the issues are in designing and implementing courses and programs, and what teachers see as indicators of quality. Because there is a dearth of research on OLTE, we will also suggest critical research questions and methodologies that we hope will frame future research and help us make informed decisions about OLTE. Dr. Denise E. Murray is Professor Emeritus at Macquarie University in Sydney and at San José State University in California. For seven years, she served on the Board of Directors of TESOL International, including a term as President in 1996-1997. She has a long history as a language teacher educator. 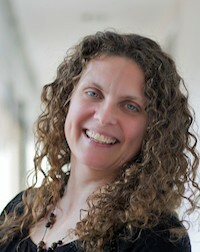 Dr. Murray’s own research interests include computer-assisted language learning; cross-cultural literacy; the use of the learners’ L1 in the second language classroom; the intersection of language, society, and technology; settlement of adult immigrants; OLTE; language education policy; and leadership in language education. She has published her work in seventeen books and more than 100 articles. She has had a lifelong interest in distance education, focused on how to make education accessible to those whose physical place, available time, and other life circumstances make it impossible to attend a brick-and-mortar institution. 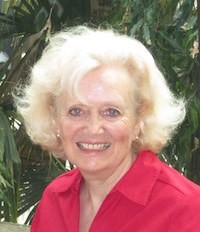 Dr. MaryAnn Christison is a Professor at the University of Utah, Salt Lake City, Utah, USA and teaches courses for graduate and undergraduate students in the Department of Linguistics and the Urban Institute for Teacher Education. 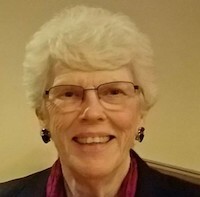 She served on the TESOL Board of Directors for seven years, including a term as President, and is currently on the Board of Trustees for The International Research Foundation (TIRF) for English language education. She has worked with English language teachers and English language program administrators in 32 counties in the last two decades as an English language specialist for the U.S. Department of State. Christison is the recipient of the Alatis Award for Distinguished Service to the TESOL Profession and a TESOL 50@50 Award, an award which recognized 50 TESOL scholars worldwide for their contributions to teaching and research. 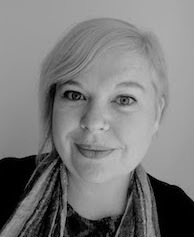 Christison’s research interests include the use of digital technologies in education, second language (L2) teacher education, online language teacher education (OLTE), L2 course and curriculum design, content and language integration, language assessment, and neurolinguistics.